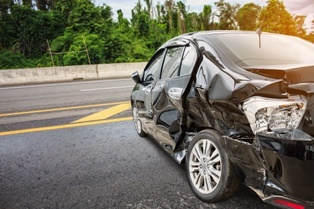 T-bone crashes—also known as side-impact collisions or broadside accidents—occur when one vehicle crashes into the side of another vehicle, usually at an intersection. With just a door and, depending on the model, maybe a side airbag to protect them from impact, the driver and passengers in the T-boned vehicle often sustain serious injuries, such as lacerations, internal injuries, broken bones, head traumas, and back, neck, and spinal cord injuries. Many of these injuries can require expensive long-term medical care, temporarily or permanently affect an accident victim's ability to hold a job, or even care for themselves and perform everyday tasks. T-bone crashes are also one of the deadliest types of motor vehicle accidents, accounting for 25 percent of passenger vehicle occupant fatalities in 2016 alone, according to the Insurance Institute for Highway Safety (IIHS). Sadly, many of those deaths occurred right here in the state of Delaware. What's particularly unfortunate about T-bone accidents is that they're almost always preventable. More often than not, driver error is the underlying cause of most side-impact collisions. If the at-fault driver was found to have been drunk, drugged, distracted, dangerously drowsy, driving recklessly, or otherwise negligent at the time of the crash, accident victims may be entitled to compensation for damages, including related medical expenses, property repair costs, and more. An experienced personal injury attorney can help clients gather evidence, take witness statements, and find expert witnesses to testify in their case, if necessary. If you were severely injured in a T-bone crash caused by another driver's negligence, it's important to understand your legal rights, as well as explore your options for compensation. The skilled personal injury attorneys with the Morris James Personal Injury Group can evaluate the merits of your case and discuss how to build the strongest case possible. Contact the Morris James Personal Injury Group today to schedule an appointment for a free initial consultation regarding your T-bone accident case.